The Daniel Law Firm, PLLC. The Daniel Law Firm, PLLC. takes great pride in staying abreast of current legal trends and technologies. We make every attempt to use the most applicable cutting edge techniques available in order to respond quickly both to clients and to the court or any opposing party. We will also strive to assure that we give you the most relevant information, analyses and perspectives needed to make the decisions necessary to move your case in a positive direction. 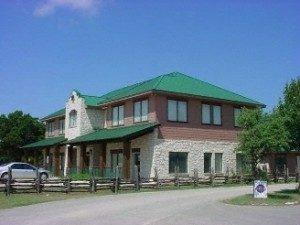 We are locally based in Dripping Spring, TX and gladly serve the communities of Austin and the surroundings, residents of Colorado and Wyoming. We take pride in our service and experience and offer personal service and treatment to each client. If you have a concern related to Estate Planning or anything else related to our practice, but do not see a specific link, please do not hesitate to contact our law firm directly for additional information. Contact The Daniel Law Firm, PLLC. today at (512) 270-7070. Contact our Dripping Springs Texas Law Firm today to speak with an attorney. Call (512) 270-7070 to find out how Attorney R. Brian Daniel has helped many other people with legal questions just like yours!